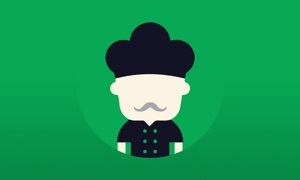 Order food online with your iPhone or iPad using the Thuisbezorgd.nl app. Super easy! Are you feeling like a delicious pizza, salad, burger or kebab? You can easily order the most delicious meals from thousands of restaurants in the Netherlands. Craving Chinese, Indian, Italian or Greek food? You'll be spoilt for choice! You'll have your meal within 30-45 minutes (depending on the restaurant's availability). • Pay safely with a credit card, iDEAL or PayPal. • Would you rather pick up your food? Switch to the pickup option to see which restaurants allow this feature. Ordering is very simple. Fill in your postcode/street name or simply let the app find your location automatically. You can easily pay with PayPal, iDEAL or a credit card. Naturally, you can also pay with cash on delivery.